“Slow motion is exciting to watch. There’s a sense of voyeurism, when given the ability to stretch a moment out, and to stare at that moment as it unfolds. There’s a subtle naughtiness to it. Slow motion allows us to see the full arc of a movement, the build up, climax and follow through of a bouncing body part. And we can’t look away. Ironically, the eight-piece band Sweet Spirit started as a solo project. Austin singer Sabrina Ellis was going through some distressing times: the band that she fronted for several years, Bobby Jealousy, with her then husband was disintegrating along with their relationship. Everything Ellis was working toward was suddenly in free-fall.She started Sweet Spirit to hone her ability to write and perform on her own. “It was supposed to be focused on me writing solo, and performing with the guitar,” she says. But it didn’t stay that way for long. Together Ellis and Cashen began turning out songs at a breakneck pace. They assembled a core band of four more members, rehearsed religiously, and started playing gigs around town. Immediately they began turning heads and packing clubs.Within six months they had gotten noticed by one of Austin’s most famous musical residents, Britt Daniel of Spoon. In October of 2014, Daniel asked the band to perform at Spoon’s “secret” tour kick off show at the cramped rock club Hotel Vegas for their latest record They Want My Soul, and Sweet Spirit was quickly thrown into the local buzzmill. 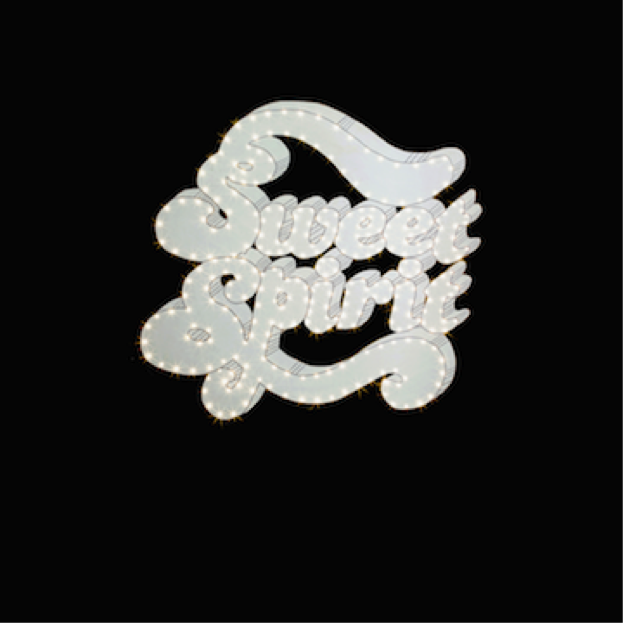 As Austin accolades continued to pile up into 2015, Sweet Spirit was added as an official SXSW showcase act without a full-length record or ever having applied. National attention from Esquire, the L.A. Times and other outlets solidified their status as Austin’s “next great rock band” and earned them a spot as the opener on 12 Midwest and West Coast Spoon tour dates. In between shows, the band found time to work with producer Steve Berlin (Los Lobos, Deer Tick) on their sophomore full-length St. Mojo. The new record comes out on April 7, 2017 on Austin label Nine Mile Records and features a bigger, more dynamic set of songs. Lead single “The Power” has already become a fan favorite at live shows, while the Queen-esque track “The Mighty” and Prince dance funk of “I Wanna Have You” take the band is exciting, unexpected new directions. Guest contributions from members of Grupo Fantasma, Mother Falcon and A Giant Dog help expand the band’s already considerable sound. What can we expect from DAMN. ?